Roasting vegetables in the oven brings out their natural sweetness and this makes them a perfect addition to salads. 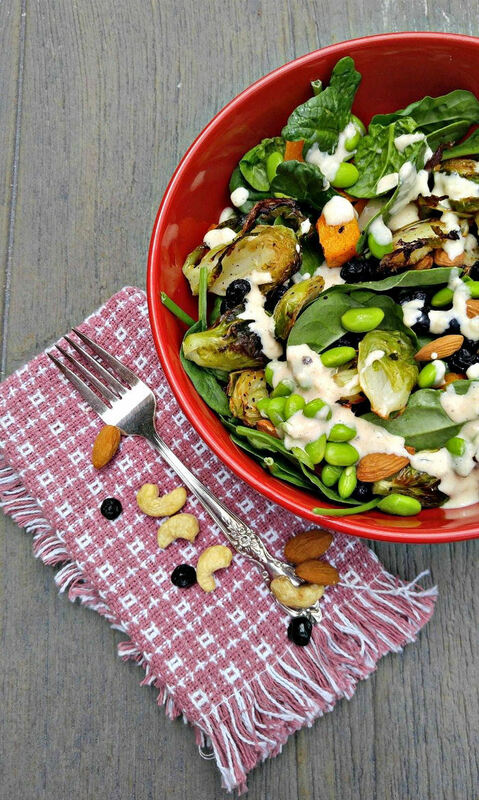 This Roast Vegetable Salad has a lovely mix of roasted Brussels sprouts and butternut squash and it goes perfectly with the homemade creamy cashew dressing. Best of all, this is a 30 minute meal! I love cooking with fresh vegetables. They add so much color and texture to dishes and are heart healthy and so fresh tasting. This amazing salad is a lovely mixture of layers of baby spinach, Brussels sprouts, squash and dried blueberries. Edamame beans add some fiber rich protein that keeps you full for hours. You know the saying “we eat with our eyes first?” Well, this salad is a visual feast! The dressing is creamy and nutty. It is a fabulous blend of ground cashews, maple syrup, apple cider vinegar and a new Silk product: Silk® Protein Nutmilk. It has the goodness of almonds and is very creamy from the cashews. Silk® Protein Nutmilk is great on cereal. It makes a fabulous smoothie and is perfect for the dressing for this salad. Plus, it packs 10 grams of plant based pea protein in each serving. With no saturated fat and 80% less sugar than dairy milk it is a great choice for those who follow a dairy free diet. 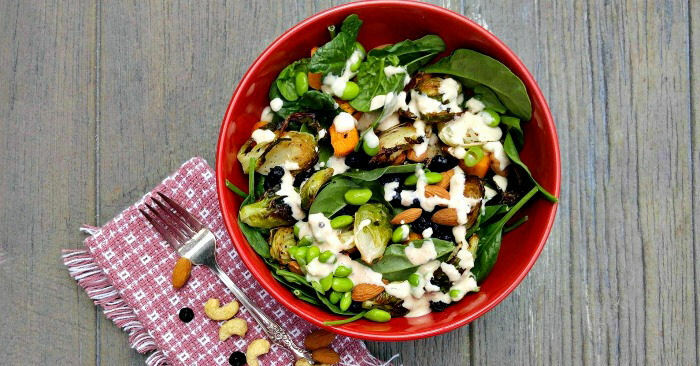 Time to make this Roast Vegetable Salad with the Creamy Cashew Dressing. 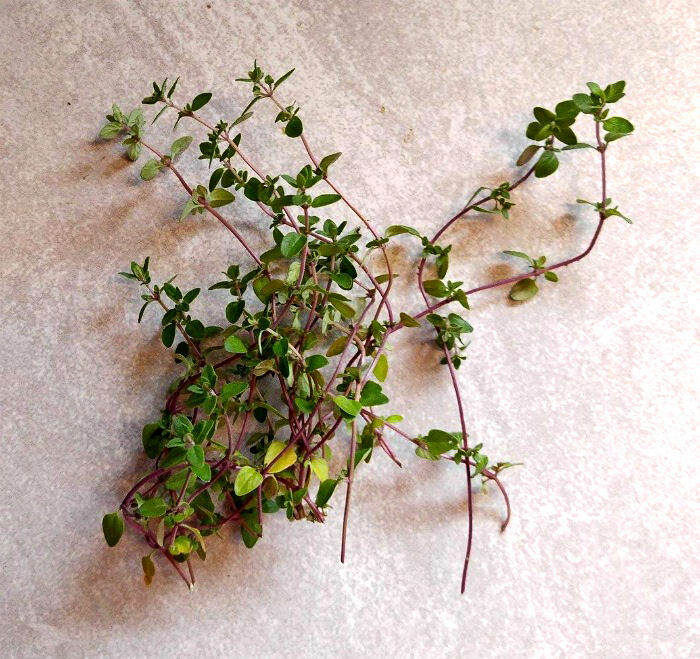 I have lots of fresh herbs growing on my deck right now, so this bunch of thyme will be great to add seasoning to the veggies. 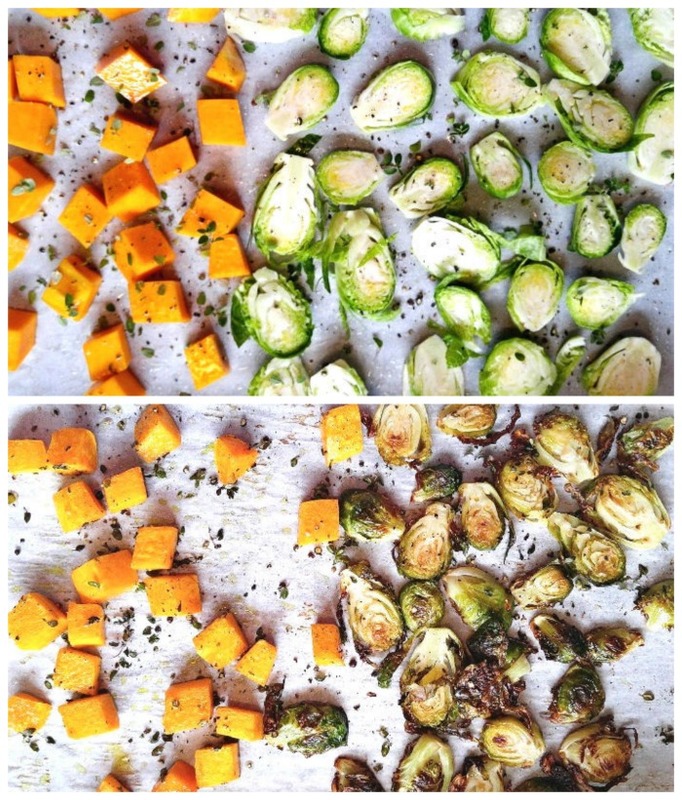 I cut the squash into small dice sized cubes, and sliced the Brussels sprouts into 1/4″ slices so they would both cook evenly. This salad is quick to make. Start by lining a baking sheet with parchment paper and lightly coating it with coconut oil spray. 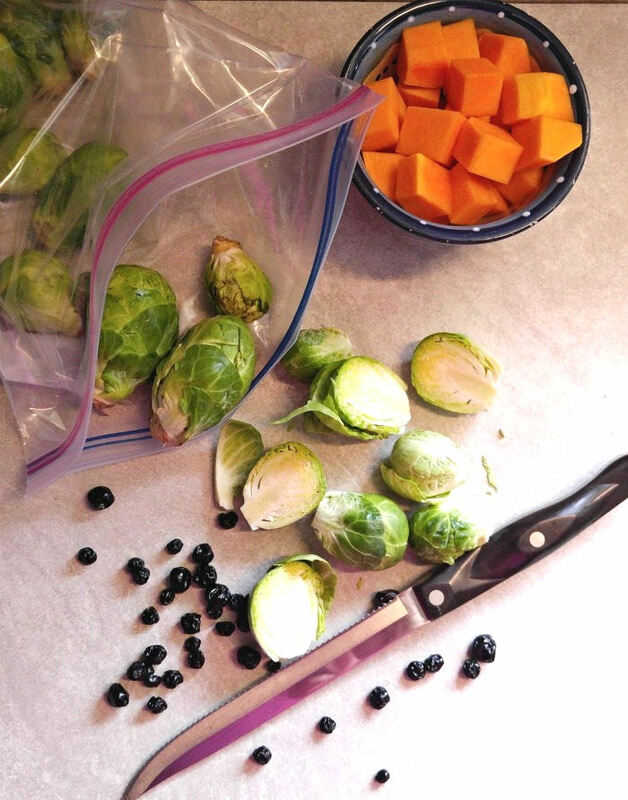 Add the sliced Brussels Sprouts and butternut squash and cook them in a preheated 375º oven for about 25 minutes, turning halfway through the cooking time. While the vegetables are cooking, you can assemble the salad and make the dressing. This recipe makes two really large salads. 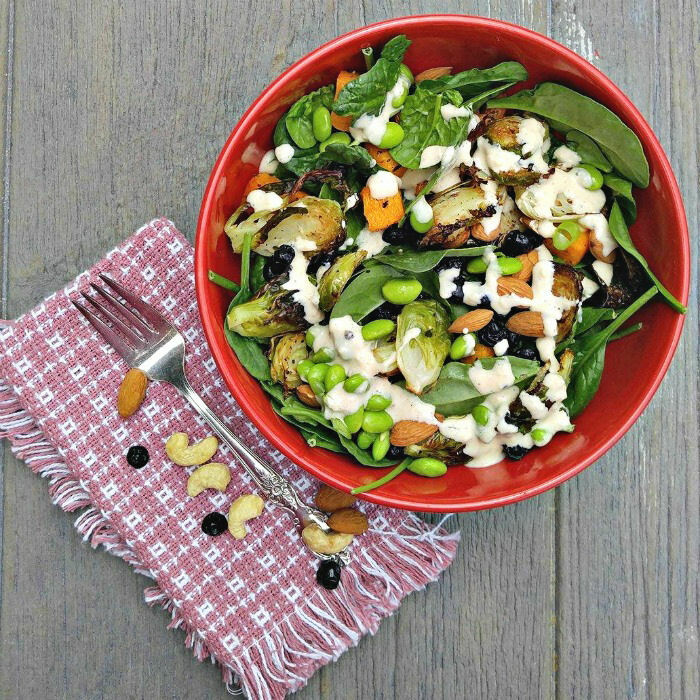 Divide the baby spinach into two large serving bowls and add the dried blueberries, raw almonds and shelled edamame beans. I used the frozen ones that cook in the microwave for about 3 minutes. Set the bowls aside while you make the dressing and wait for the veggies to cook. To make the dressing, place the raw cashews in warm water and let them sit for 15 minutes. Then, add the Silk® Protein Nutmilk, Dijon mustard, maple syrup, apple cider vinegar, sea salt and cracked black pepper. Drain the cashews and add them to the blender and combine well until you have a creamy and smooth consistency. 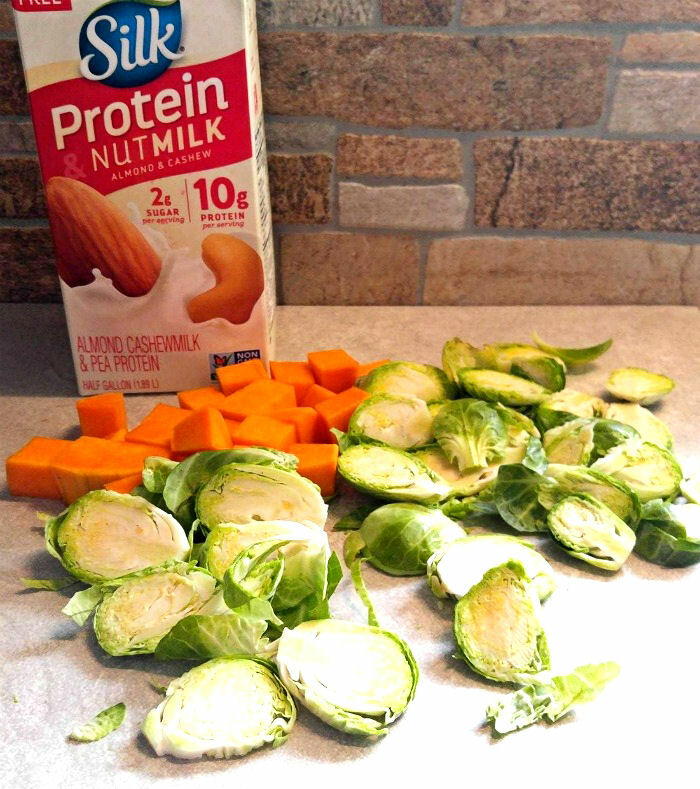 If the dressing is too thick, just add a bit more Silk® Protein Nutmilk. I liked the taste of it so much, I made a big batch to have later! Layer the roasted vegetables over the prepared salad and drizzle with the salad dressing for a tasty and hearty salad that is both dairy free and gluten free. Every bite of this amazing roast vegetable salad is jam packed with nutritious, tasty goodness. The dressing has a nutty and slightly sweet flavor that goes so well with the natural sweetness from the roasted veggies. I am seriously in love with this dressing! Using the Silk® Protein Nutmilk gives you a natural creaminess with a subtle nutty flavor. It is easy to blend and rivals any of the retail creamy dressings that I have tried. You will love it! I love how fresh and filling this salad looks. Who says that looking after your diet has to be boring? Have you tried using Silk® Protein Nutmilk in your recipes? What is your favorite way to use it? 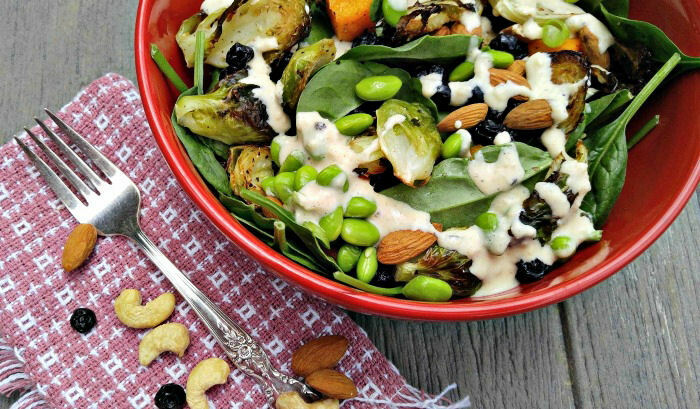 This Roast Vegetable Salad has a lovely mix of roasted Brussels sprouts and butternut squash and it goes perfectly with the homemade creamy cashew dressing. Spray a thin layer of coconut oil cooking spray on the paper, then spread the sliced squash and Brussels sprouts in a single layer on the parchment paper. Spray the vegetables with another light coat of coconut oil spray and season with salt and pepper. Place in oven for 12 minutes, then turn the vegetables and roast for another 13 minutes, or until the vegetables are browning slightly. 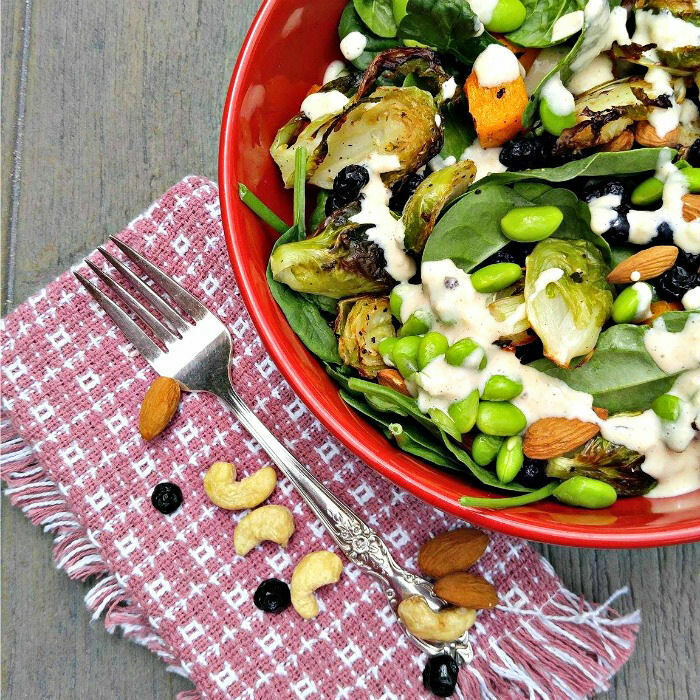 Place the spinach in a large serving bowl and add the almonds and edamame beans. Layer over the roasted vegetables, and drizzle with the home made dressing. 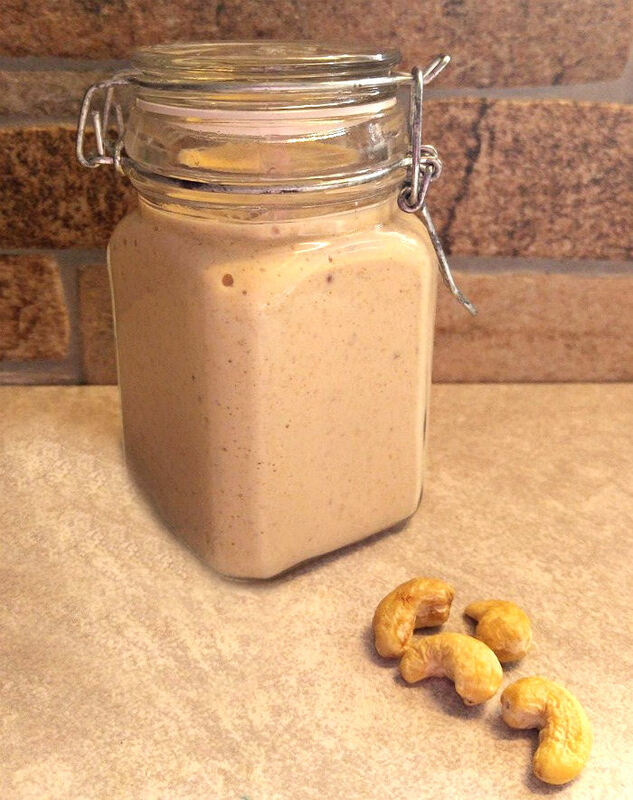 Drain the cashews and place all dressing ingredients in a blender;. Puree until the mixture is very smooth. If the mixture is too thick, add more Silk® Protein Nutmilk.